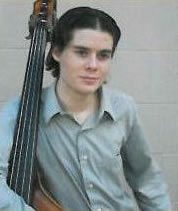 Gary Thomas is currently studying to obtain a Master’s Degree In Jazz Bass from the University of Miami. He has studied and performed Jazz Bass for over 10 years. While receiving his Bachelor’s Degree from the University of Miami, Gary performed and recorded extensively with the Frost Jazz Sextet and the Studio Jazz Band while simultaneously performing on and off campus with pianist Shelly Berg.